If they care a little about perfume, the public is familiar with names such as Jean-Claude Ellena, Olivier Polge or François Demachy. Those of Loc Donc, Domitille Bertier or Nicolas Beaulieu, not so much. Yet, all these people are contemporary perfumers and the creators of fragrances sold and worn today. But the big difference is that the first ones are in-house perfumers – respectively for Hermès, Chanel and Dior – whereas the second ones work more discreetly for a flavors and fragrance manufacturer – the American company International Flavors and Fragrances. Among other things, IFF conceives and sells fragrances to its clients, i.e. brands who do not possess this know-how internally. Hence its perfumers work for a whole lot of brands, from industry giants Lancôme or Paco Rabanne to niche names such as Editions Frédéric Malle or Memo. This is why they don’t appear in magazines so much: they may get interviewed about a specific perfume they have created – given that the brand lets them be in the spotlight – but never as much as their homologues working inside a big house, whom the press tends to turn to a lot more – all the more that the big house in question is usually (also) an advertiser. Because it wanted to get its talents out in the open, IFF got the idea to organize an entertaining event during which the press could meet its perfumers and talk with them freely, outside the usual frame of a perfume launch. In 2009, the company threw its first Speed Smelling, organized according to the codes of speed dating. 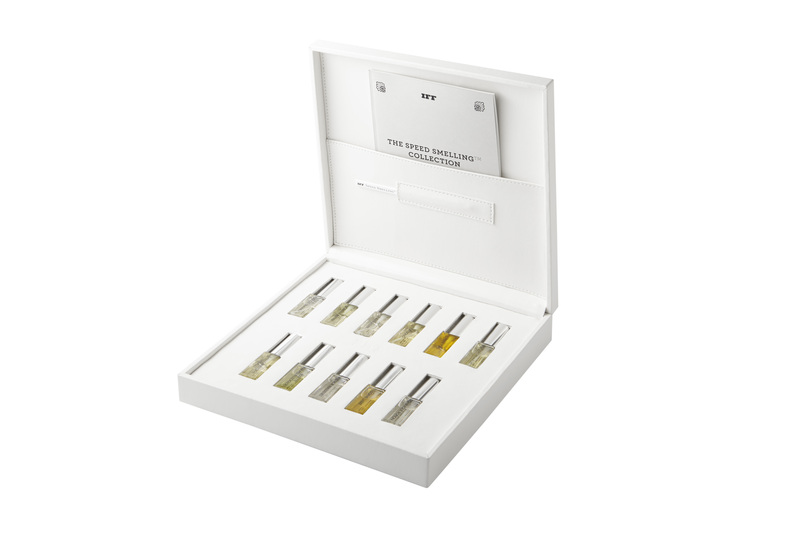 Beforehand, each of the 11 perfumers had had carte blanche to compose a perfume: on D-day, they had exactly 7 minutes to introduce it to a few journalists and answer their questions, then a bell rang, each little group of journalists moved on to the next perfumer, and so on. The recipe was such a success that it became an annual event. I must reckon that the perfumes freely composed for Speed Smelling have what it takes to titillate one’s interest: composed without any brief, outside of any “brand territory”, freed from the usual cost constraints, they are a rare display of the perfumers’ creativity and savoir-faire. And thus feel like a bowl of fresh air for the journalists, tired of attending only too rarely launches where truly creative stands are served by truly beautiful raw materials. It I say “truly creative stand”, it is because the IFF perfumers are free to dig their inspiration wherever they please, and then to pursue that idea all the way without anyone sticking their nose in it. This year, I have fallen for some perfumes especially. Aliénor Massenet took a luminous sculpture by Danish artist Olafur Eliasson, The New Planet, as a starting point, and tried to express through smell its continuous diffusion of a yellow light: a citrus accord that lasts in time, energized by ginger and faceted by aromatic notes. AmberXtreme, a synthetic captive by IFF, evokes the metallic aspect of the sculpture. An eternal flower lover, Anne Flipo put herself in the shoes of a bee – so to speak – to venture in on the pistil of a broom from Calabria. A true dive into its honeyed smell, her composition sweetens it with beeswax, orange blossom and rhum absolutes. The result is a delicious nectar but it is costly beyond decency, and hence it would be unsellable to a brand, the creator tells me. Sophie Labbé imagined the smell of garden that would be suspended in space as a memento of life on Earth: the smell of honey, which indicates the presence of bees necessary to all forms of life, blends with aromatic notes, rose and jasmine, carrot and vetiver on a base of ozonic musks. As for Dominique Ropion, he created a sublime leathery fragrance around the rose of Taif. But the luxury flower from Saudi Arabia is absent from his composition: he’s recreated its facets by dressing two essences of rose with other ingredients – spices, aromatic herbs, woody and animal notes. These creations may be unique and limited, they are not inaccessible: in 2012, IFF has started editing an annual set that offers them all in a 10-ml format. Sold in Paris at Jovoy, and in the United States on Luckyscent.com, the 2015 collection is available in the UK from the first time this year at Harrod’s.